Frantastique Review: Aliens? Victor Hugo? What?! Note: I received a free trial of this product for review purposes. Some links in this review might be affiliate programs, so I'll make some coffee money if you buy. You get it at the normal price though! Listen. I know there are some of you for whom learning French is a Very Serious Business™. So if the idea of following a semi-naked Victor Hugo around Paris with a couple of aliens sounds positively boorish to you, you can probably stop reading here. 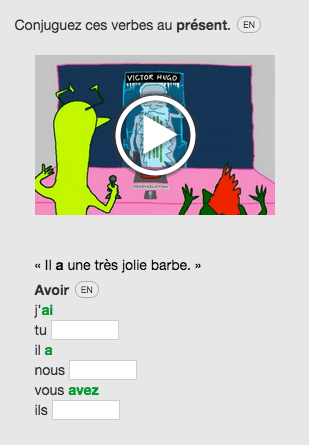 If, on the other hand, that sounds like incredibly good fun (or you're just happy to consider anything that could improve your French), then you might want to check out Frantastique. You receive daily-ish lessons by email. Each lesson is short (around 15 minutes to complete), and is based around a video, cartoon, or some other media that you'll get at the start of the lesson. For instance, here's the video from your first lesson, and it really sets the tone for what comes next. After each piece of fun source material, you'll get a bunch of questions. These are usually of the multi-choice variety, or the fill-in-the-gaps variety, and they'll cover some vocabulary and grammar from the video. At the end of the lesson there is "Le dessert du jour" — a short snippet of French language cinema, music or literature, somewhat related to the content of the lesson. As you answer questions in the lesson, there's no immediate feedback on whether you get the answers right. It's like a little exam paper. At the end of the lesson you click the big "envoyer" button to submit your answers. After you submit your answers you'll get another email with your "correction". This is where you'll see how well you did. The "correction" is where the real teaching happens. For each question you'll see how you scored, along with a little explanation of the grammar or vocabulary it was testing. The explanations are frequently quite entertaining. "I am the one who knocks" is a reference to the TV series Breaking Bad. If you recognized this, you'll be wriggling with joy right now. If not, there are lots of other cute jokes waiting for you in the grammar explanations. As you go through the correction, you can add tricky words or phrases to your vocabulary list, to show that you want to spend more time learning these. You'll also get a bit more information about that "dessert du jour" culture snippet, for you to digest at your leisure. You can come back and revise both the lessons and your corrections as many times as you like. I say "magic" but it's more about machines than mysticism. As you complete the lessons, Frantastique's AI engine will "learn" your strengths and weaknesses and adapt your lessons to work on the things you need to work on. The system takes a little bit of training to begin with (the first 7 lessons are essentially a placement test, where the AI is trying to work out how much you know), but as it gathers more data you'll end up with some pretty targeted lessons. You'll also occasionally get little boxes reminding you of your earlier mistakes as you go through later lessons. They'll actually say "do you remember this error?" (tactful, n'est-ce pas?) — and they'll discuss the material again before jumping into your next lesson. "Do you remember this error?" — How could I forget the time when I chose the wrong pronunciation of "bonjour". Thanks for reminding me. You can also purposely choose vocabulary you wish to practice by adding it to your vocabulary list. Now and again it will pop up at the top of a new lesson, until you tell it to go away. I've already touched on this, but it deserves repeating because this is a really big selling point for me: These lessons are hilarious. Frantastique have hired a bunch of writers and actors (and cartoonists and animators, by the looks of things) to make these lessons, and the attention to detail and sense of humor really shows. They reject Napoleon for being "Too small. Too small..."
‍Edit Piaf is rejected because "not a singer..."
Michael Jackson is skipped past because he "doesn't speak French"
In the end they choose Victor Hugo because of his "very nice beard"
In a later lesson, Victor goes to Earth with the two aliens because they're all out of mustard and they need to get more. "And him, who's that? He's handsome..." "Shut up and look... my cupboard of mustard!" "Whoooaaah!" Maybe it's just me, but I find these story lines so ridiculous and wonderful that I am genuinely excited to get my lesson each day. I'm also so delighted by the explanations in my "correction" that I read them all for the silly jokes and cute comments. As you go through these lessons you're going to learn about irregular verb conjugations, different tenses, noun gender and all that other stuff that you need to master if you want to become fluent. And beyond that, it's teaching you how real French works — which means it also covers different accents, slang, and "just how things are said" (denoted by "oral" in the vocabulary section). Somehow, Frantastique has cracked it. They've made grammar not dull. A quick shout out to all the Canadians here — this one is especially for you, because you might feel ignored sometimes. Frantastique features a variety of accents in their videos and audio samples. So far I've seen accents from France, Belgium, Tunisia and Canada. You’ll also receive two pronunciations for every word and phrase in the vocabulary area: One from France, and one from Canada. I think this is a really nice touch. Just like English has a bunch of different regional differences, so does French. This exposes you to different French accents, so you’re not completely thrown by a less-than-neutral accent. Of course I added "spaceship" to my vocabulary. Plus I can hear it pronounced in French-French and Canadian-French accents! "A little and often" is the way to learn and master things, and Frantastique seems to have taken this to heart. Each lesson only takes around 15 minutes to complete — maybe 20 - 30 minutes if you study everything in your "correction". For me, I can do it in the morning while I drink my coffee. And this is fantastic because it means I actually do it. It's not intimidating. It's not something I put off because it's going to take too much time. I'll actually do it. That's a pretty powerful selling point right there. ... Unless you're looking for a semi-immersion experience and you're prepared to feel a little dumb to begin with. The lessons in Frantastique are presented primarily in French. There are English translations available, but it could still be a little intimidating if you're brand new to French. There's not a super heavy emphasis on speaking out loud in Frantastique. The material seems more intent on helping you to understand how French works. I know from experience that if I'm not constantly prompted to speak out loud, then I just don't. And speaking out loud is hugely important for learning a language: You need to train your mouth to make the sounds! So I would really recommend using Frantastique alongside an interactive course like Rocket French, Michel Thomas or even Pimsleur. Remember that "little and often" thing? Well, Frantastique really wants you to do that, so they pace you through the material — sending you a maximum of one lesson per day. This is great for making French a regular habit, but it's not great if you just want to sit down for a weekend of intense study. You might find that the lesson leaves you hungry for more... but there isn't any more. Not until tomorrow. 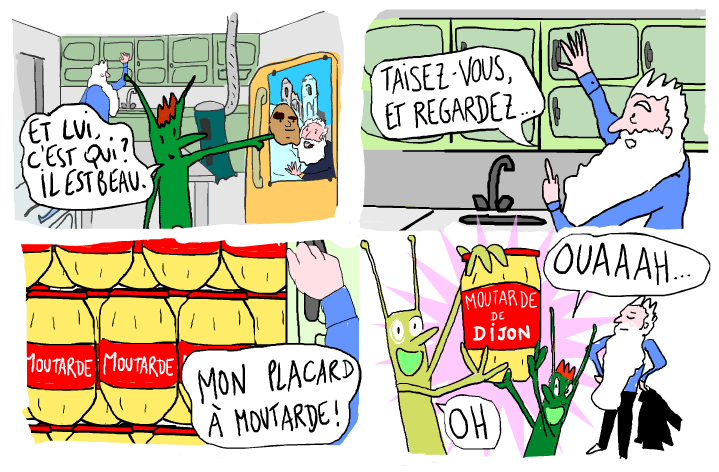 This is another reason I'd recommend using Frantastique as an accompaniment to another French course. You can binge-study the other course, and refine your knowledge with Frantastique. 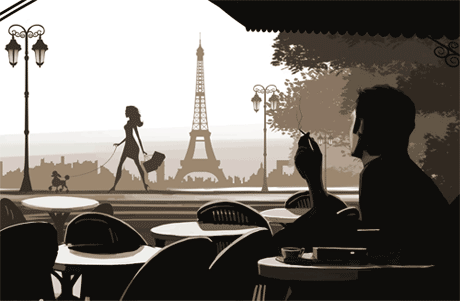 Frantastique is, hands down, the most charming, delightful, fun way to learn French that I have ever come across. It is an absolute treat to work through. There is so much attention to detail in the lessons that they even have great replay value: You'll actually want to go through them again. That's ridiculous! But underneath the aliens and naked historical figures is a rock solid curriculum that would make your high school French teacher happy. Beginners might find it disorienting, so it's recommended you have at least an elementary grasp of basic French. (i.e., A couple of months of high school French many years ago would probably do the trick!) The "easy mode" makes things less daunting if your French is "a little rusty". The cost for a Frantastique membership starts at $25/€21 per month . That price is pretty reasonable compared to in-person classes or individual tutoring, but the real value in Frantastique is that you will probably use it, because it's ridiculously enjoyable. Click the bird in the beret below to try it out.